Mary Lily Walker: Mary Lily Walker Celebrations Start! 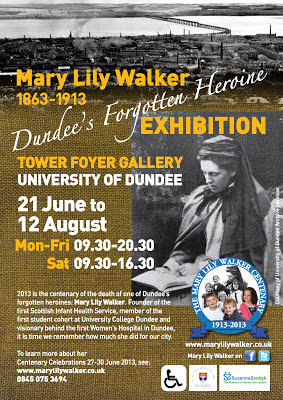 After long months of planning, today sees the start of 4 days of celebration for the Mary Lily Walker Centenary. There's due to be a Civic Reception for all those who've taken place in pulling together the celebrations. 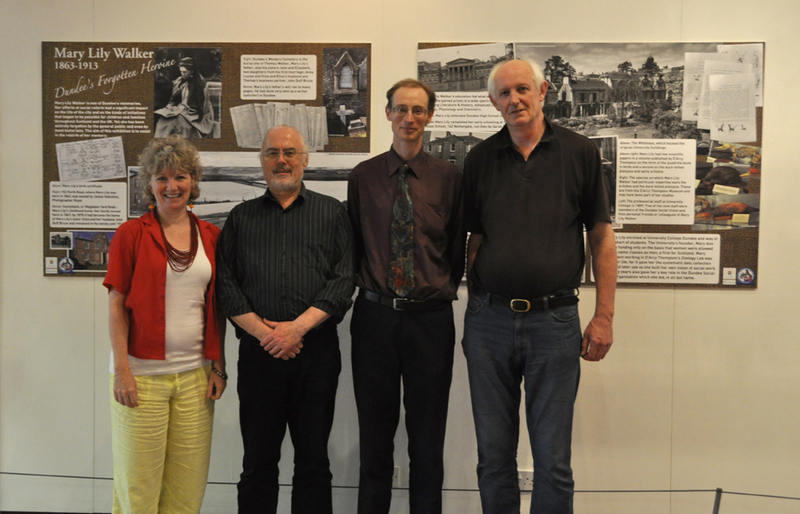 You can also take part by attending the exhibition currently up in the Tower Building Foyer at Dundee University. 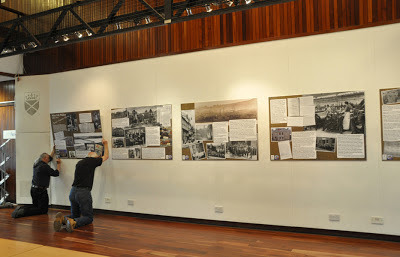 The exhibition was designed by Brett Housego, Head of Design at Suzanne Zeedyk ltd. and features letters, images and items from the life and times of Mary Lily Walker. It will run until the 12th August and entrance is free to all. 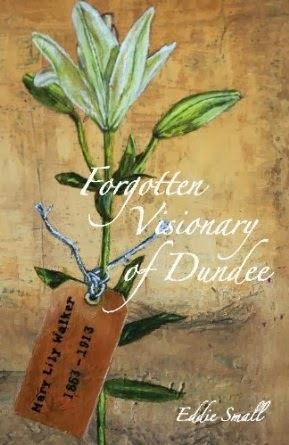 Mary Lily was one of the first cohort of students to study at the university, back when it was known as University College Dundee and the exhibition features lab samples from her time working in the university laboratories under D'arcy Wentworth Thompson. Also on show is part of the report into child poverty that she authored in 1905. We do hope you'll enjoy the exhibition - if you do get to catch it, be sure to let us know what you think by leaving us a comment here or on our Facebook Page. 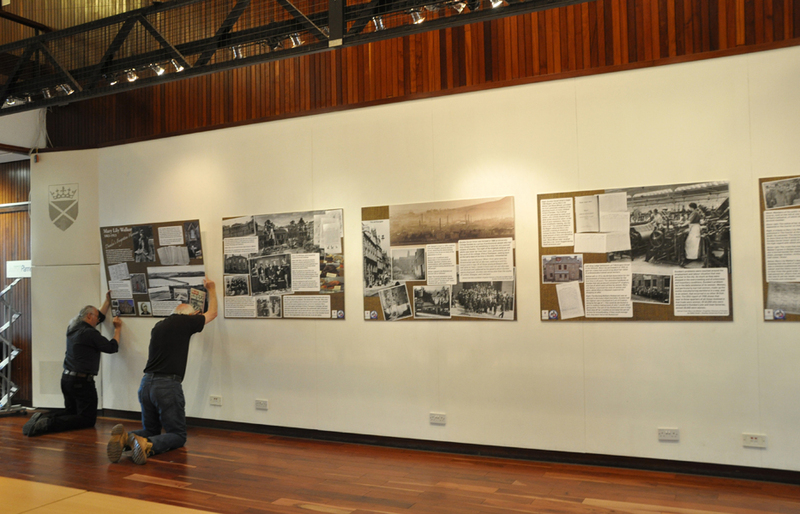 Below are some photos of the research team installing the exhibition. 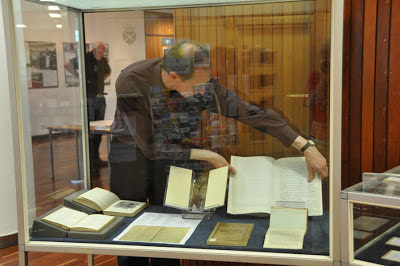 Dundee University's Matthew Jarron filling the case with artefacts. 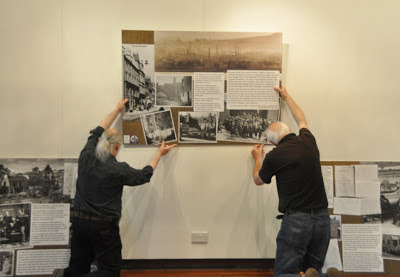 This is how you hang an exhibition! One suddenly realises how big the exhibition is!